Art Nouveau ring made in France. Product code: 1188 Categories: Sold Items, Sold Rings. 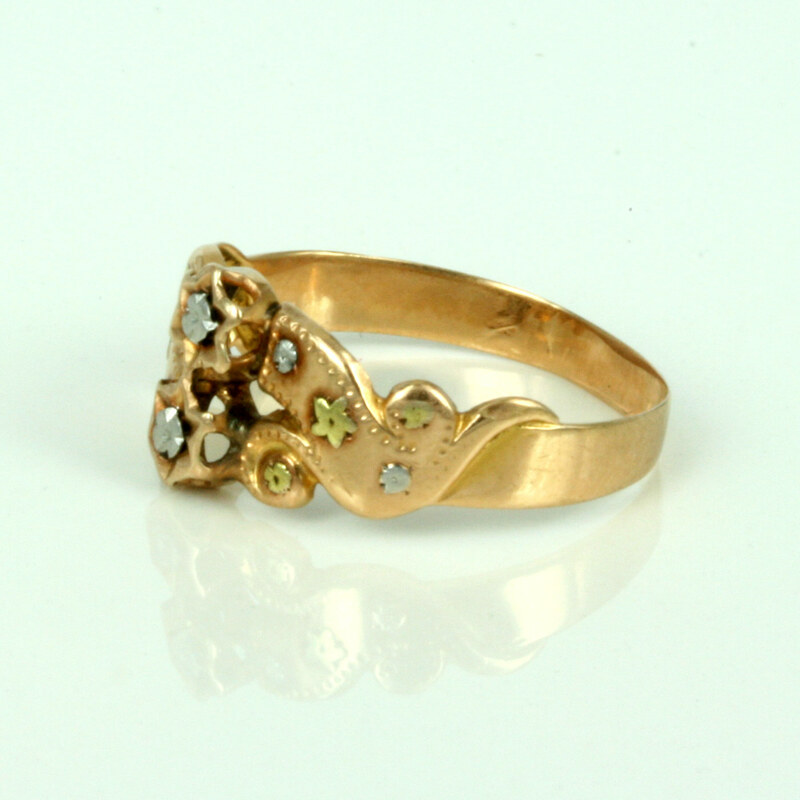 Here is a great Art Nouveau ring made in France in the mid to late 1890’s. Made in 18ct gold, it is made up of a combination of rose and green gold, with silver highlights and so typical of the Art Nouveau period. With French hallmarks, and in wonderful condition, this is a ring that can be worn every day.